Black and White House returned to Madrid, Spain, but remains available for purchase. 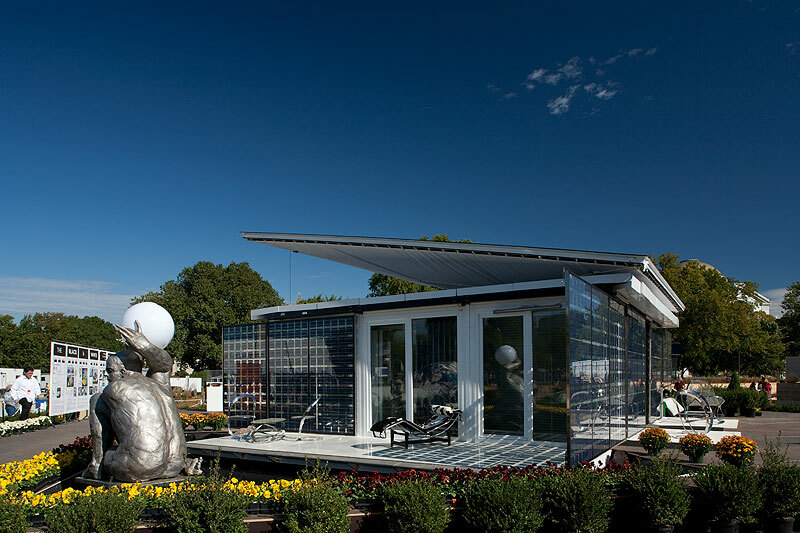 Following the U.S. Department of Energy Solar Decathlon 2009, Team Spain's Black and White House returned to Madrid. In June 2010, it was reconstructed in the Plaza de Colón as an exhibit for the first Solar Decathlon Europe, an event modeled after the U.S. Department of Energy Solar Decathlon in Washington, D.C. The plaza is named in honor of Spanish explorer Cristóbol Colón (Christopher Columbus) and includes a statue of him pointing west toward America. Students from the Universidad Politécnica de Madrid introduced an innovative rooftop photovoltaic system at Solar Decathlon 2009. Able to track the sun by pivoting on a ball-and-socket joint, the Black and White House's moving roof helped earn Team Spain fourth place in the Net Metering Contest. The Universidad Politécnica de Madrid is offering the house for sale for $250,000, even though the construction cost was estimated at about twice that. Until a buyer is named, Black and White House will be used at events and exhibits as well as for further research. The team is also working to make its technological patents and innovations available to consumers. Find more information about Black and White House's systems and sale from the Team Spain Web site.